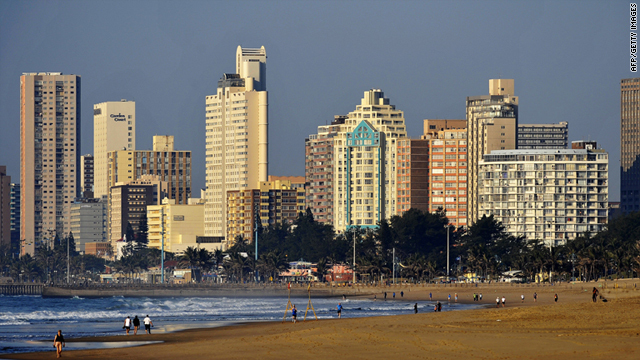 (CNN) -- The Road to Durban is a 30-minute monthly show that explores the cities making strides in reducing their carbon footprint. Beginning in the United Kingdom, CNN will take viewers to urban centers in Germany, Turkey and Kenya -- before heading to Durban, South Africa for the 17th session of the United Nations Convention on Climate Change (UNFCC) in December. Along the way, a team of experts will examine the planning, environmental and sustainability issues facing today's cities, as well as the green initiatives being developed to tackle them. After Durban, the show will be heading to Abu Dhabi in the United Arab Emirates to continue the journey.